Austrian philanthropist; born at Prague Dec. 20, 1788; died at Vienna July 25, 1868. Her home in Prague was an intellectual center. 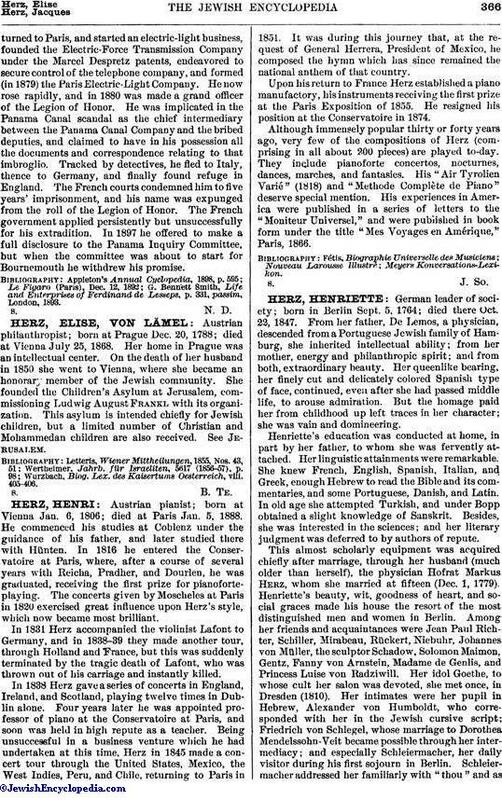 On the death of her husband in 1850 she went to Vienna, where she became an honorary member of the Jewish community. She founded the Children's Asylum at Jerusalem, commissioning Ludwig August Frankl with its organization. This asylum is intended chiefly for Jewish children, but a limited number of Christian and Mohammedan children are also received. See Jerusalem. Wurzbach, Biog. Lex. des Kaisertums Oesterreich, viii. 405-406.